The United States District Court, in conjunction with the Chicago Chapter of the Federal Bar Association, awarded Jacie C. Zolna, a partner at Myron M. Cherry & Associates, LLC, with their annual Award for Excellence in Pro Bono Service. 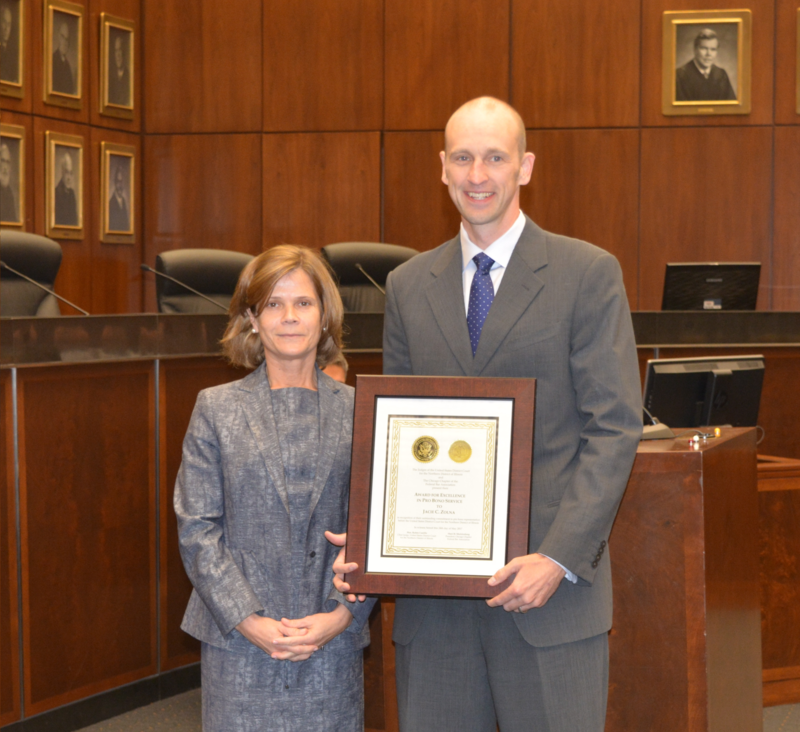 The Award is presented to area attorneys for their contributions in helping those most in need of assistance through pro bono work before the District Court for the Northern District of Illinois. This is the second time Mr. Zolna has been a recipient of the Award, having also received it in 2013.